Know anyone who won't watch a film unless it makes them jump in fright a few frillion times, then you might want to flip this little link their way, and show them they can swap jumping for diving into BOOM! 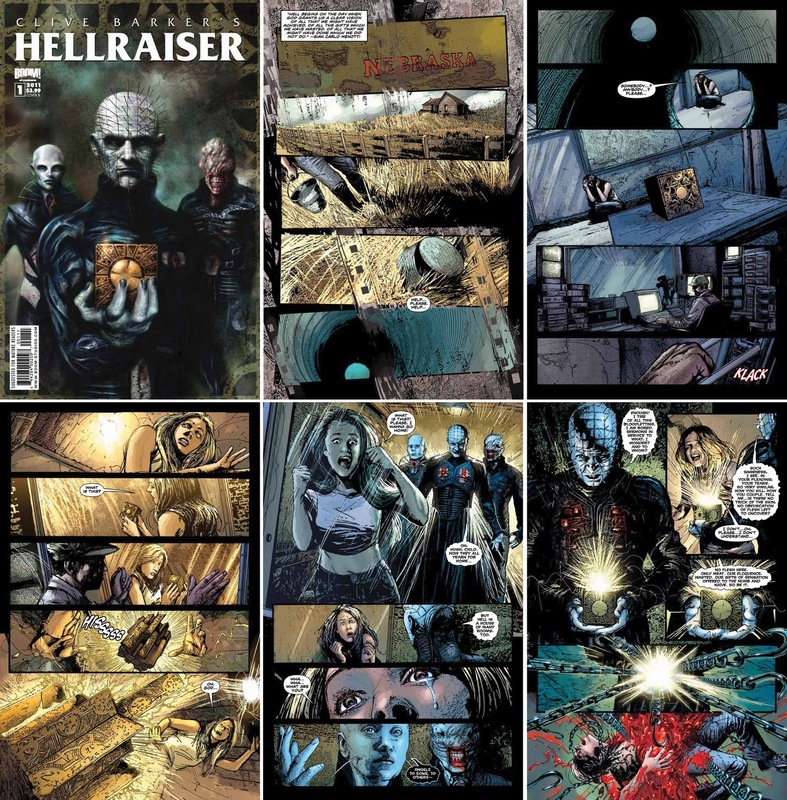 Studios all-new Hellraiser series - FREE! The little wee publisher that could, has released the all-original, self-contained Prelude to Hellraiser #1, which reunites Clive Barker with a hit he's only scripted twice before - and doesn't dent your wallet (or purse if you are that way inclined) in the process! Then after you've read that pdf from Things From Another World, why not flip it on to as many people as you can possibly find? No registration, no app to download, just buckets of cool Leonardo Marco drawn FREEness to soak into, before running screaming into this weeks all new Hellraiser #1. Five pages of which I have for ya right here. How cool is that? that should be gadafi in that chair. I need to grab a copy of this. I knew you'd love it Craig, hopefully you ducked across and got the freebie. 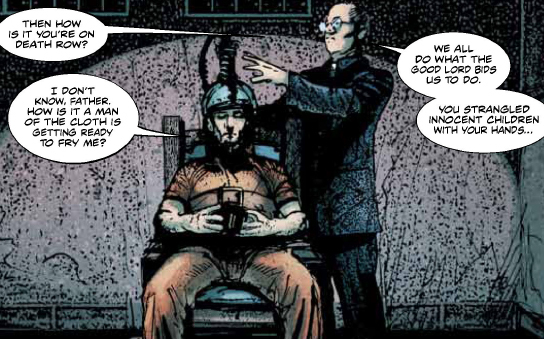 Somehow Dave - I think that chair is actually one of the safest places in the issue... definitely not a book for kiddies, but good on BOOM! for making a free original story for fans that wasn't just a preview of a few pages from #1. Thanks Dan, I did. The link jammed up so I surfed around for a few minutes and found another way in. I haven't read it yet but I will.